Beware the coming of SMAUG...the great and ...adorable...cutimuffins. 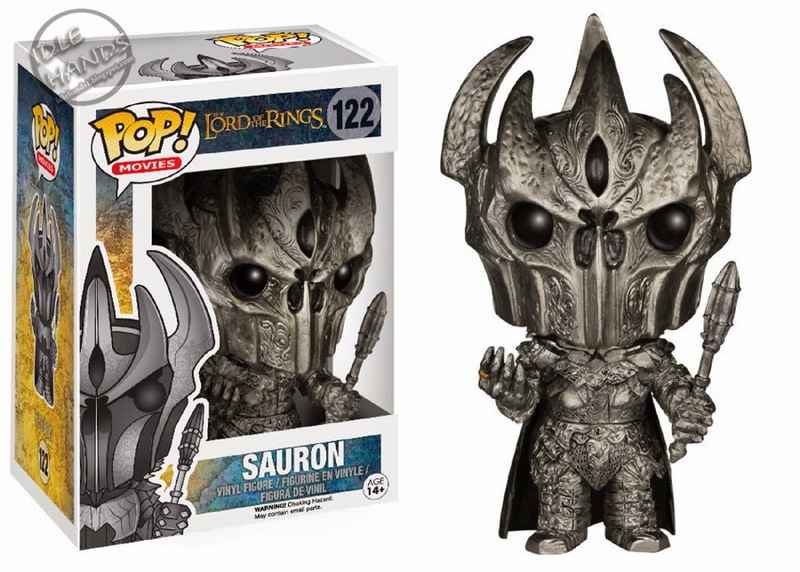 Yea, Funko can take the most dread foe in all the kingdoms and reduce him to squishable status....except for Sauron. He still looks badass. It's in his contract. Funko increases their mini plastic army with new forces from this December's installment of The Hobbit film series; The Battle of Five Armies. Funko are keeping the full lineup under their hats (if there are to be more released under this film's title), so for now, we bring you Tauriel and a 6 inch super-sized Smaug Pop that can be found with two different eyes; full black or dragon lusting for gold...ish! Also on tap will be Sauron from The Lord of the Rings, most likely due to his fiery appearance in The Desolation of Smaug. 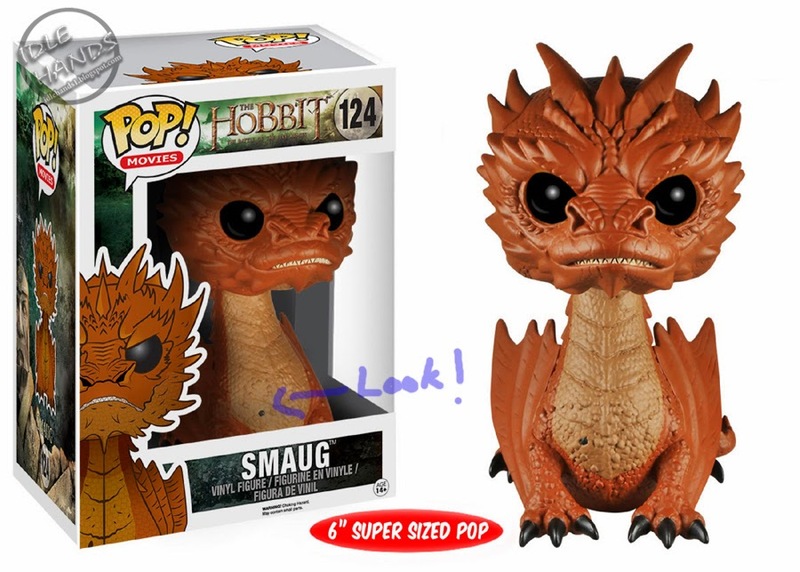 You'll note the original lineup as seen in the Funko catalog included Thorin, Legolas, Hatless Gandalf, Azog, Bard the Bowman and Invisible Bilbo, so these still may be on the way. 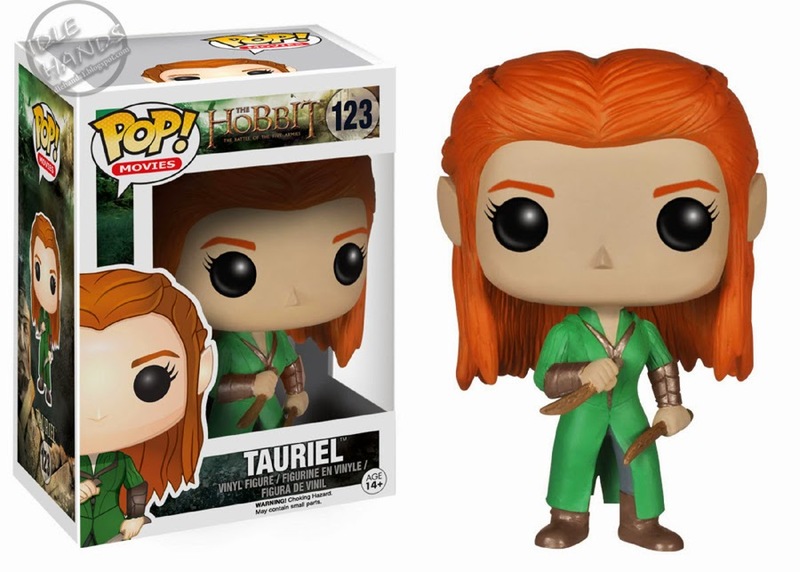 Funko lists the release date as October for the lot, while Entertainment Earth lists Tauriel in September, and Sauron and Smaug in November, so jump on those pre-orders and secure your favorites before they drop and disappear!